Pure water around the clock. 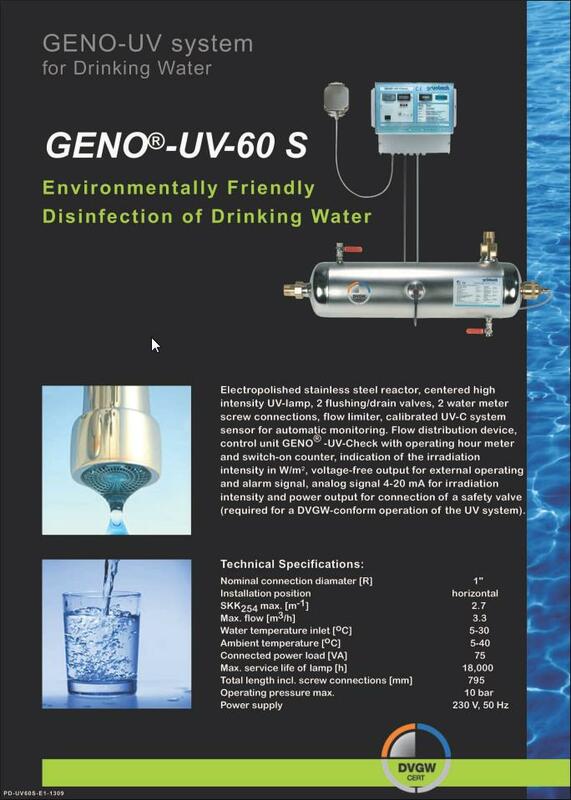 This is the order of the day when it comes to drinking water, even in case of older installation. 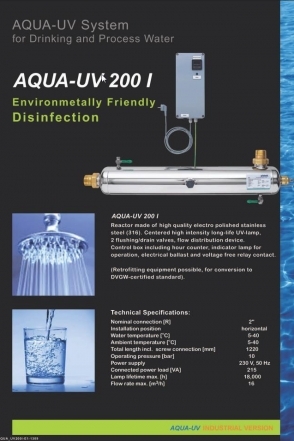 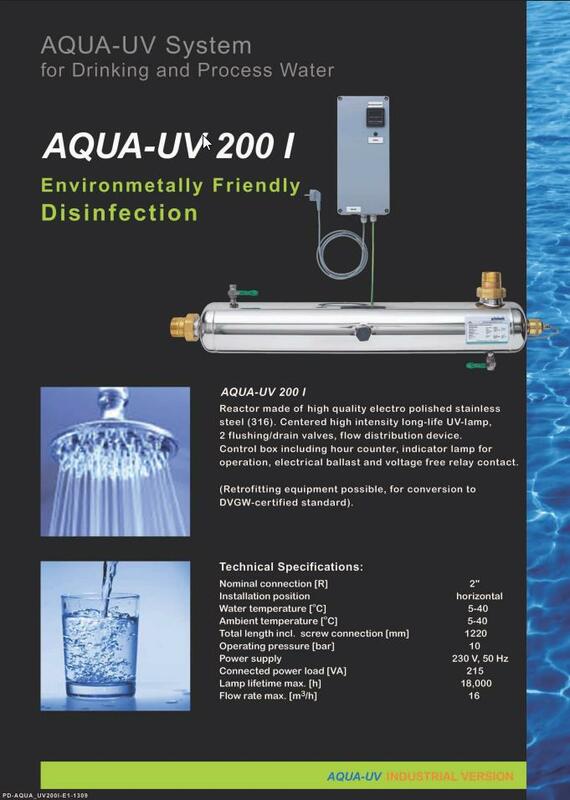 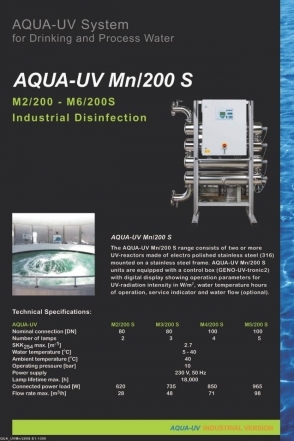 Aqua System’s UV systems are the more environmentally friendly alternative to the common disinfection processes such as the chlorination of drinking water. 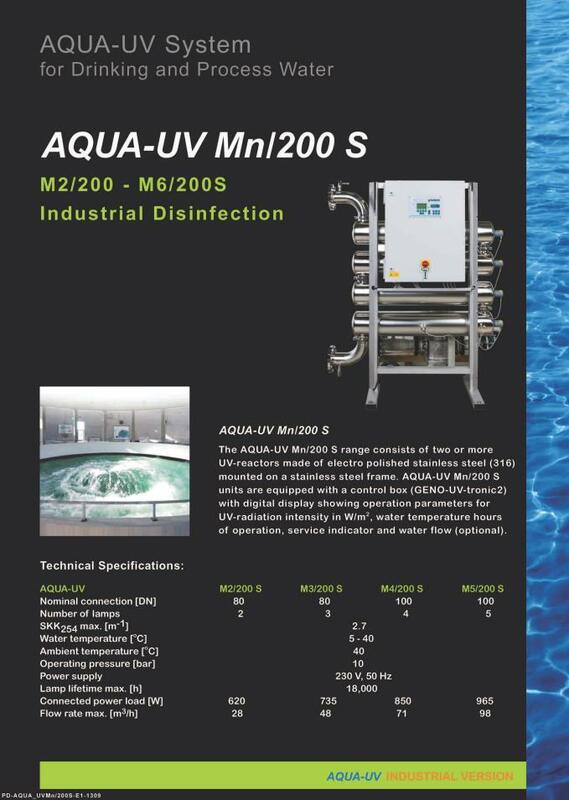 In the UV disinfection process, germs are killed by means of a light source providing light in the UV-C range – similar to sunlight – at a wave length of 254 nm. 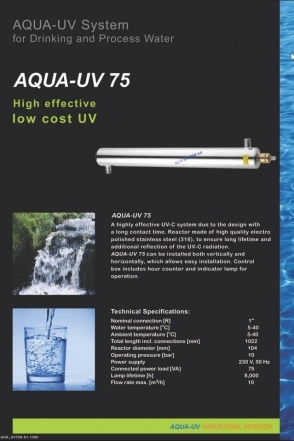 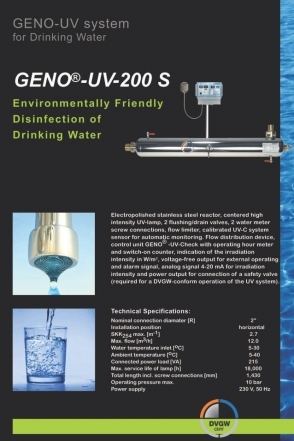 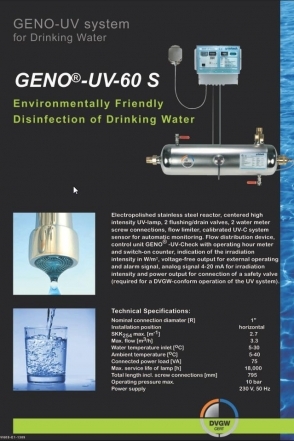 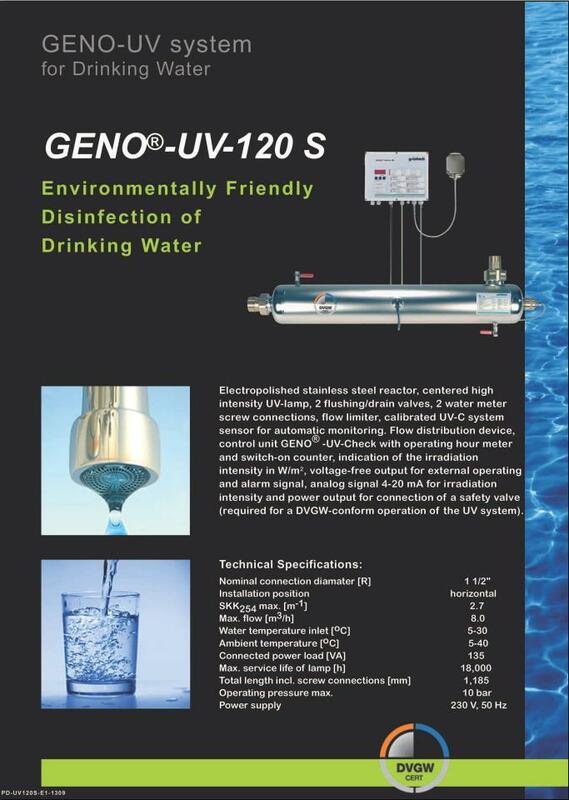 The UV systems 60 S, 120 S and 200 S designed for the drinking water sector are certified according to DVGW sheet W 294. The Aqua System product range includes many different model types with capacities from 1 to 100 m3/h.